Here's the thing about kids--they grow really fast. Zelda is almost six months old and getting too big for her co-sleeper. Yosef is almost three and still sleeps in the crib. 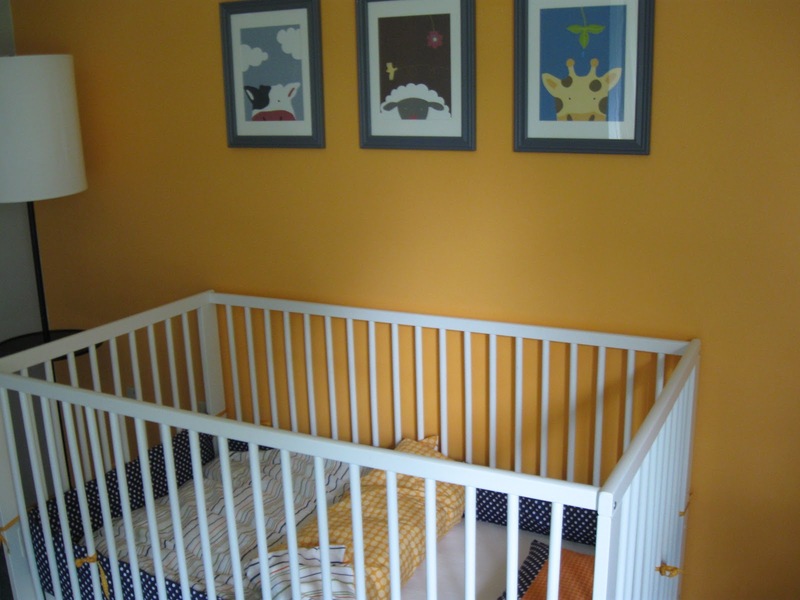 So, when Zelda moves into the crib, Yosef needs to move into a bed. I found this bed on Craig's List for $35. 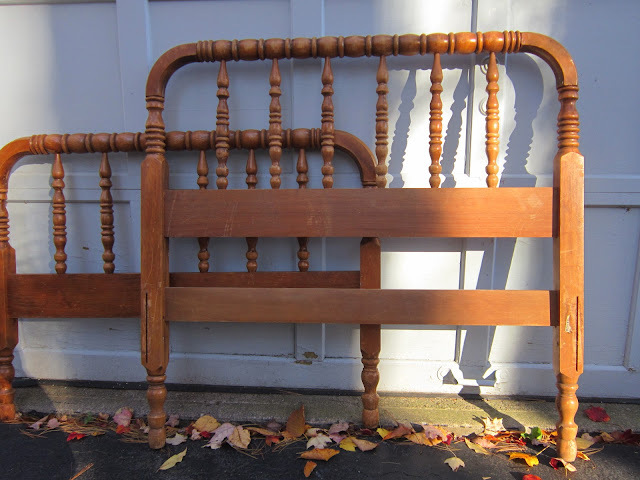 It's a spindle bed (love them) but the wood finish was not in very good shape. 1. Strip the varnish and re-stain it. I decided to paint--much faster than striping wood especially with all those spindles. As you can see from the autumn leaves, this was in October. A few days later our house sold and I was in a packing frenzy. I gave Ariel the paint and bed and told her she'll have to paint it--but with a new baby, a two-year-old and a four-year-old, this took her 3 months! The feature wall is orange and the other walls are soft grey. 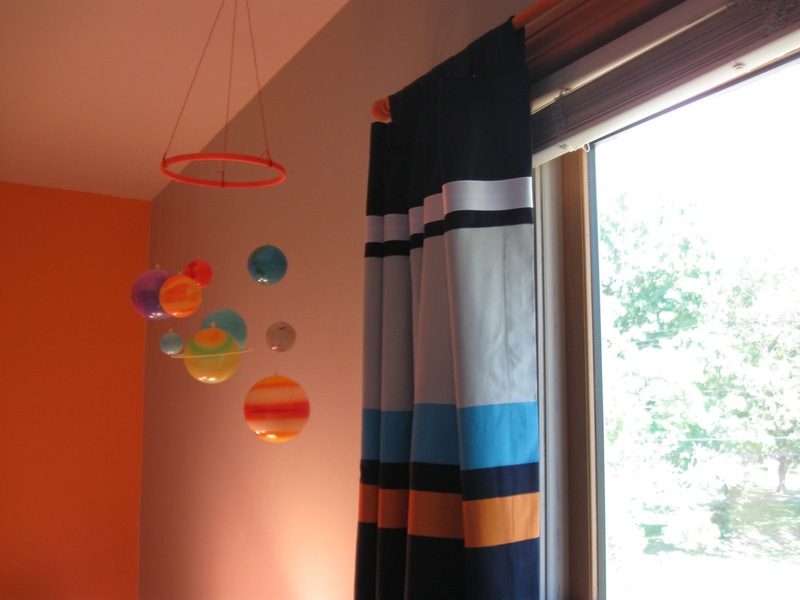 I found these sheets and duvet cover at Target--the colors were perfect and the "outer space" prints on the sheets looked great with his planets hanging from the ceiling. 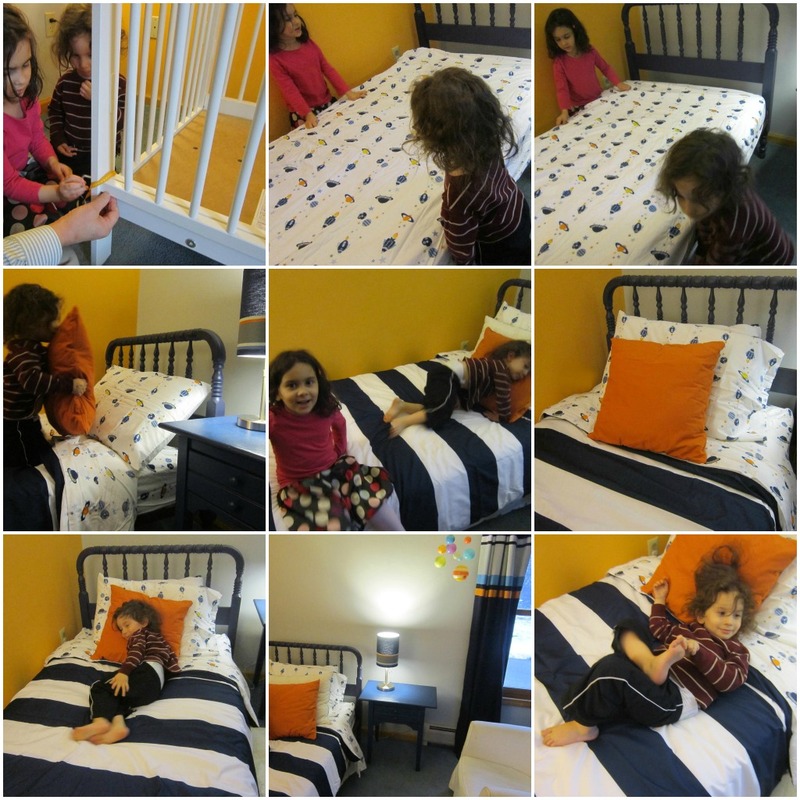 Sunday, we spent the day taking apart the crib and assembling the bed for Yosef and the crib for Zelda. We had really good helpers. 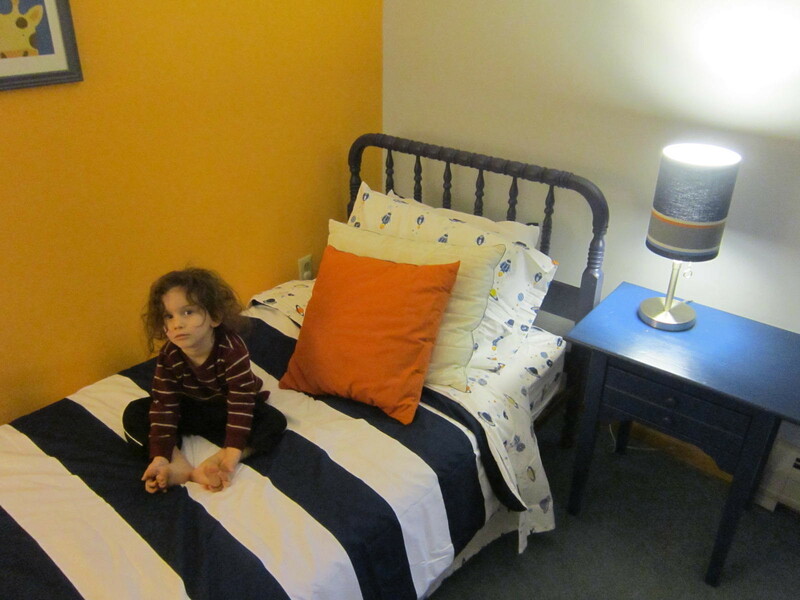 Yosef said he loves his big boy bed. Moussia said she wants a new bed. Oy. I love those big stripes on the duvet cover. That's a great looking room. Sweet dreams! 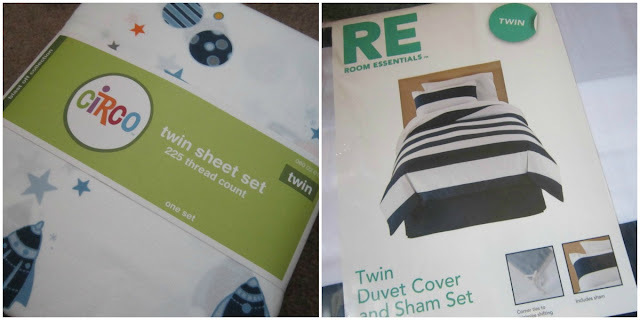 Thanks Terree--thank goodness for Target! where did you get the curtain? Also target? Love your blog! He looks so cute! I can't believe that hair will be gone so soon! I know--less than two weeks for the haircut. Can't imagine how he'll look!